First Lady Barbara Wyatt Sibley is a believer in Christ. She was baptized at the age of nine and has been an active member of the Mt Zion Missionary Baptist Church ever since. She is the wife of Rev Louis E Sibley III, who is the Senior Pastor. Sister Sibley serves when and where she can in the church. She is an usher on the Senior Usher Board; a member of the Mission Ministry and serves as a Youth Ministry leader. As a participating member of the Pathfinders Sunday School Class she studies to show herself approve. This is also demonstrated in her role on the Council of Christian Education. Mrs. Sibley leads the Ministers Wives group at Mt Zion. Their work includes the annual Fall Revival and National Black Marriage Day; as well as fostering fellowship among the wives and their husbands. She is a member to the Milwaukee Interdenominational Sisterhood of Minister Wives and Ministers Widows (MISMWMW) which is a chapter of the international organization. She currently serves as the President of the Wisconsin General Baptist State Convention Women’s Auxiliary. Since her appointment, she has worked to increase involvement at the state level of church Missions, Women Ministries and Women called to the Ministry. 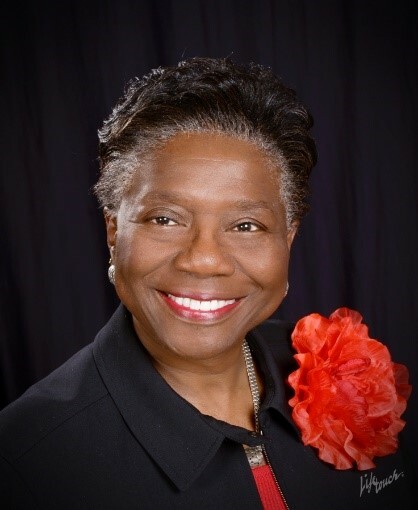 Professionally she served in leadership roles as Executive Director, Milwaukee Christian Center; Deputy Secretary, State of Wisconsin; President & CEO, YWCA of Greater Milwaukee; Area General Manager, Time Warner Cable; Consultant, Fortis Health and AT&T where she retired in 1997 as a Director. Since her “final” retirement in 2012, Sister Sibley remains active in the community. She serves on the Milwaukee Steering Committee for National Black Marriage Day. Her service also includes trusteeship at Alverno College where she chairs the Academic-Student Affairs Committee. She was appointed to the Milwaukee County Department on Aging as a Commissioner and currently serves as the chair for the Service Delivery Committee. In December of 2014, she was appointed to the board of St Anne Center for Intergenerational Care, Inc. which is located on Milwaukee’s Northside. Her history of community involvement has had a strong focus on the issues of women and girls. She has served on the boards of Girl Scouts, Shade Tree, The Women’s Fund, and several other non-profit agencies. Mrs. Sibley has been a member of the Zonta Club of Milwaukee for twenty-five plus years; there she serves as Program Chairperson. Barbara Sibley loves bible study and the more she studies the more she knows she doesn’t know. She enjoys travel, community involvement and spending time with her family. Our speaker is a wife, mother, grandmother, sister, aunt and friend. But the title she wants to be acknowledged for the most is “a Christian woman striving to please God through her service”.